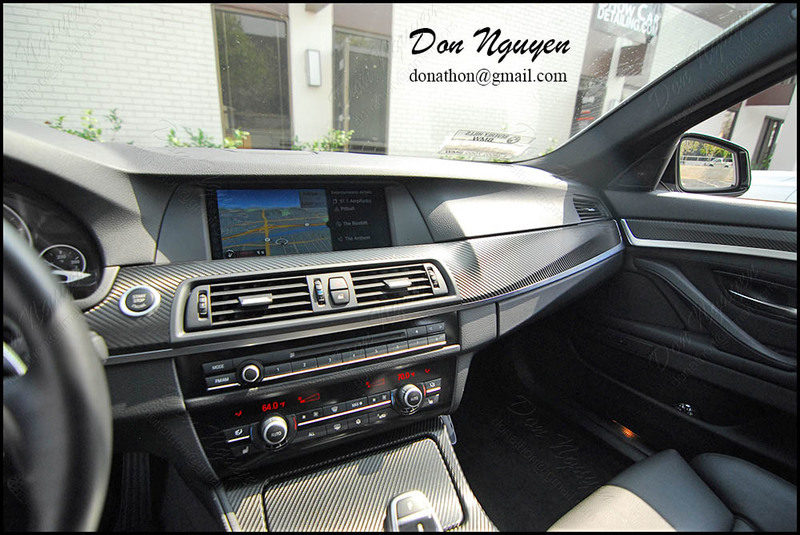 The interior on this BMW F10 5 series sedan originally had brushed aluminum/silver trim accents in the car. 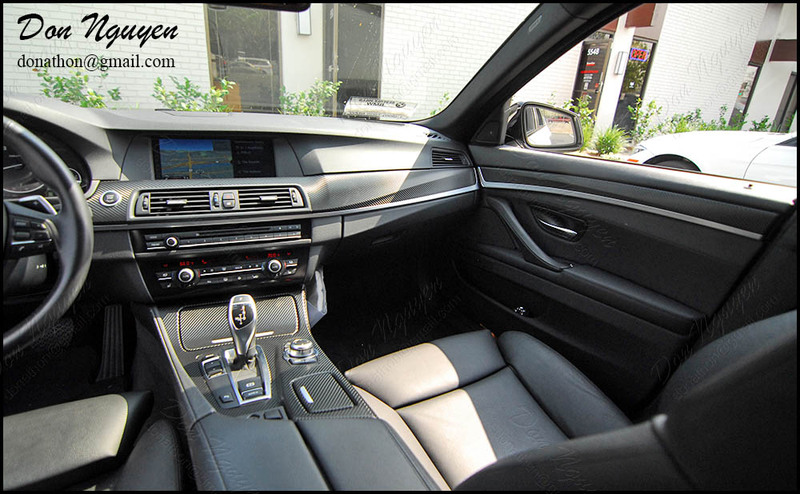 This interior is different than most other cars, since the interior trim pieces have an edging around the trim pieces, which you can see that I left unwrapped in the pictures. 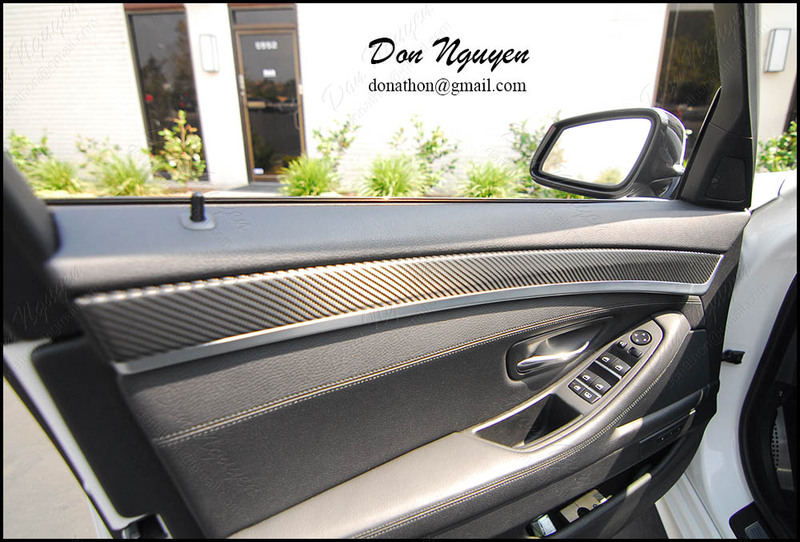 Also, most interiors I've done in the past were with the 3M Di-Noc matte carbon fiber material, however, the owner of this car wanted me a finish that was slightly glossier and blacker, so we went with with the 3M 1080 gloss carbon fiber finish. In addition to his interior trim, I also did his rear bumper diffuser piece in the same material. The owner of this car was from Pomona and drove out to me in Anaheim Hills, Orange County to have the work done.